Our technical department has the marine and industrial refrigeration knowledge and expertise to accommodate all your company’s requirements. 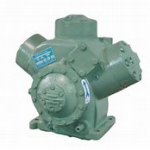 We source out only genuine or OEM spare parts, units and compressors at competitive prices. We deliver promptly and if required install them anywhere in the world. We offer a competitive range of genuine manufactured spares parts and accessories ready to send out globally to any vessel. 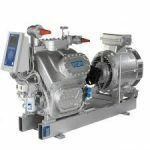 Our product range includes new and reconditioned compressors, refrigeration compressor spare parts, packaged air conditioning units and refrigeration controls. We have the knowledge and manufacturing market at our fingertips to provide your with all necessary spares and equipment. Or if the replacement product is no longer available we can send and/or install a suitable genuine alternative. Products and spare parts are sourced from all leading makers of Refrigeration equipment such as Alco,, Bitzer, Bock, Carrier, Copeland, Daikin, Danfoss, Dorin, Frick, Gram, Grasso, Hankison, Helpman, Henry, Honeywell, Maneurop, Mayekawa, Mycom, Mitsubishi, Penn, Robinair, Sabroe, Searle,Trane, Unitor andYork. 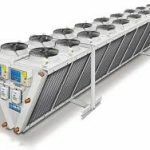 We supply all consumables associated with any marine or industrial refrigeration contract, from reputable manufacturers.